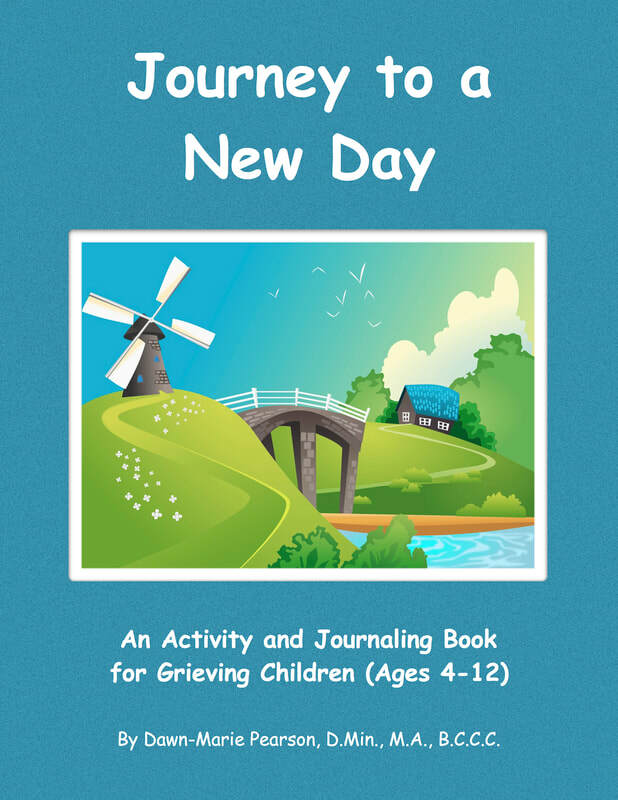 This much needed activity and journaling book is an excellent resource for families with children who are grieving the death of a loved one. In it you will find hands-on, practical help for both you and your grieving child. Through the pages of this book children are given the opportunity to express the pain of loss in ways that are meaningful to them. Parents are given practical and poignant insights designed to help them understand what their grieving children need as they navigate through the loss of a loved one. For adults and children alike, the important work of grief allows us to heal emotionally and find a new normal that is fulfilling, happy, and promising. However, how we grieve as adults can look quite different from how children grieve. Every grieving child should have the support, opportunities, and loving nurture necessary to experience the healing that comes through the process of grief. This book helps caregivers to provide that support, those opportunities, and that loving nurture so children can journey through the pain of loss and come to a new day that is bright and hope-filled. Available on Amazon. God has done incredible things in my life and has proven over and over again that His plans for me are plans to prosper me and not to harm me, to give me hope and a future (Jeremiah 29:11). I believe God has awesome plans for you, too. The questions is, do you want to live those awesome plans? Do you want His best for your life? Well, I have found that one of the most effective ways to access that best is through the conversations we have with Him. The Bible is filled with absolutely amazing promises that are directly linked to our prayer lives - our conversations with Him. To discover how to begin identifying and living those amazing promises, check out my new book, Knowing Your Rights: A 30 Day Journey to Powerful, Purposeful, Practical Praying. Available on Amazon. On the blog you'll find encouragement, and insights for your life journey. Click here for free prayer and Bible study resources. The podcast of the Treasure Chest Radio Show is available here. 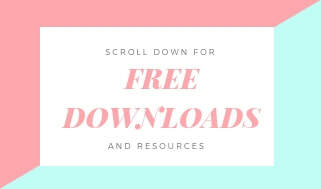 Follow Dr. Dawn-Marie on Instagram or Twitter for homeschool tips and ideas. 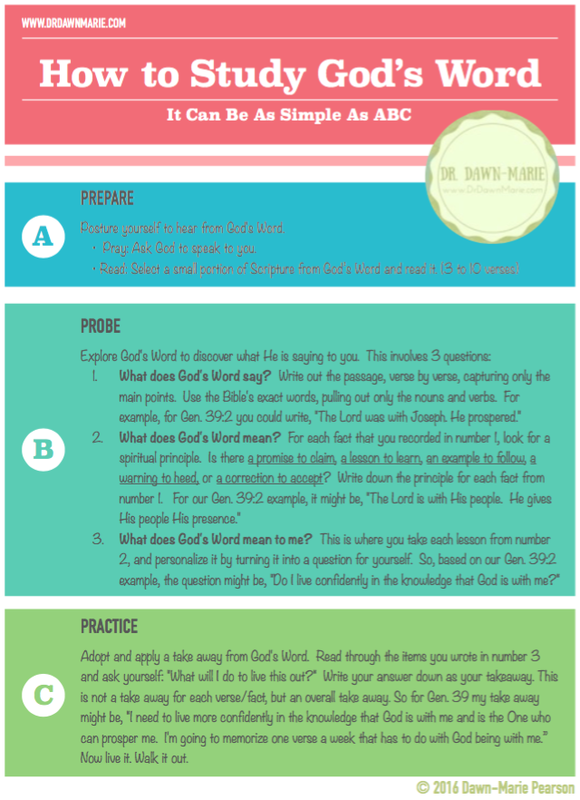 Click below to download our free printable "Praying the Word for Your Children - I." Discover how to negotiate and achieve "win-wins" in marriage. If your child is grieving the loss of a loved one you can use this resource to help you navigate through the journey of grief and loss.